Tony Schwartz was the ghostwriter for Donald Trump’s 1987 memoir, “The Art of the Deal.” The best-selling memoir sold around a million copies, earning Trump and Schwartz handsome royalties. To write the book, Schwartz spent eighteen months with Trump—in his office listening to Trump’s phone calls, attending meetings, and spending weekends with him. Schwartz later learned that while “The Art of the Deal” was being written Trump began an affair with Marla Maples, who became his second wife. Trump spent very little time with his family and had no close friends. Schwartz also appeared on “Good Morning America” to voice his concerns about Trump’s “impulsive and self-centered” character. On “Good Morning America,” Schwartz said that “The Art of the Deal” very likely contained “falsehoods” owing to the fact that Trump, in his opinion, has a strong propensity to exaggerate and lie. 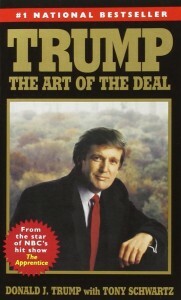 When Trump asked Schwartz to co-author a sequel to “The Art of the Deal,” Schwartz rejected the offer. CAN TRUMP WIN A DEFAMATION SUIT AGAINST HIS GHOSTWRITER? Trump has already indicated that he wants to weaken the First Amendment and “open up our libel laws” so that he can more easily sue news organizations for their “horrible and false articles.” But could he actually win a defamation suit against Schwartz? Both Trump and Schwartz are domiciled in New York, so we’ll look at New York state law on defamation. Under New York law, public figures, such as politicians and celebrities, must also prove that actual malice existed on the part of the alleged defaming party. The alleged defamatory statements are false. The alleged defamatory statements are not opinions. The question of whether a statement expresses a fact or an opinion is one of the most difficult in defamation cases. A statement of fact is one that is capable of being proven true or false. For example, if Schwartz said that Trump actually paid X amount for a building, that can be verified through real estate transaction documents. Courts have ruled that statements describing someone as immoral, stupid, jerks, losers, wacko, failures, etc., are protected opinions. Most likely, statements that Trump is “immoral” or a “sociopath” would be ruled to be protected opinions. However, if a statement implies some false underlying facts, it could be defamatory. So if the statement was that Trump was “immoral because he cheated on his spouse,” then it’s an opinion that implies underlying facts, which can be proven to be true or false. Similarly, if someone said that “Trump is a sociopath because of all the people he’s killed,” then that would also obviously be a statement implying underlying facts. Lastly, in New York the aggrieved party has one year from the time the defamatory material was published to file a defamation suit. What do you think? Do you agree with Trump’s desire to weaken First Amendment protections for speech about public figures? Do you think the ghostwriter speaks with malice or out of a concern for the public good?